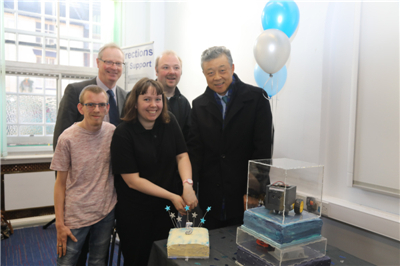 On December 7, at the invitation of Jeremy Lefroy MP, Vice Chair of the All Party Parliamentary China Group (APPCG), Ambassador Liu Xiaoming and Madam Hu Pinghua visited the town of Stafford in Lefroy’s constituency, the capital of Staffordshire. The beautiful historical town is located to the north of Birmingham with convenient transportation and advanced electronic industry. 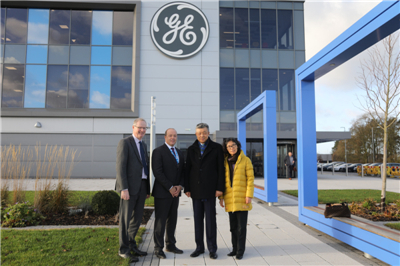 Accompanied by Mr. Lefroy, Ambassador Liu and Madam Hu visited GE Grid Solutions at Redhill Business Park, Stafford, Perkins Engines Company Limited and Shugborough Hall and held talks with representatives of New Beacon Group, a Chinese company. These companies briefed the Ambassador on their development and cooperation with China. GE Grid Solutions and China’s State Development and Investment Corporation Power Holding jointly developed the offshore wind project in Scotland. 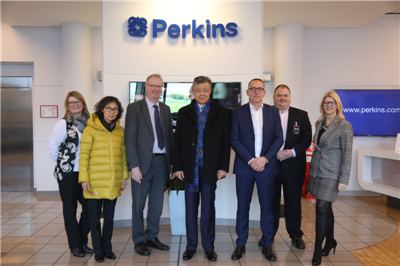 Perkins Engines Wuxi Facility in China has become an important beachhead for its expansion into the Asia Pacific market. Shugborough Hall, with the Chinese House in its park built by Lord Anson, the ancestor of the owner of this manor estate, after his trip to Canton in 1740s, would like to attract more Chinese visitors in the future. New Beacon Group acquired a 46-acre site with 20 million pounds to build a campus and business park, and facilitate China-UK education exchanges and cooperation. Ambassador Liu fully commended them on their active role in China-UK exchanges and cooperation, urging them to continue to contribute to the mutual understanding and friendship between the two countries. The Ambassador and Madam Hu also joined Lefroy at a ceremony marking the 5th anniversary of the charity New Directions Support and presented the Chinese textbooks to the organization. During the visit, Ambassador Liu expressed his appreciation to Mr. Lefroy for the importance he attaches to China-UK relations and his commitment to expanding China-UK cooperation. The Ambassador noted that the current momentum of China-UK relations is sound. 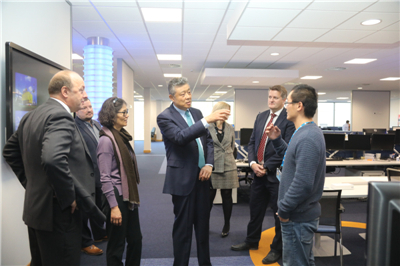 His visit to Stafford not only gave him a better idea of the Stafford constituency and its strength in the manufacturing, and its heritage and culture, but also showed him the dynamism of China-UK collaboration at the grass root level and the deep people-to-people friendship. This is the common wealth of China and Britain and an important basis for a steady and enduring China-UK relationship, said the Ambassador. He hoped that the two countries would continuously deepen China-UK sub-national exchanges and cooperation so as to take China-UK relations to a new level. 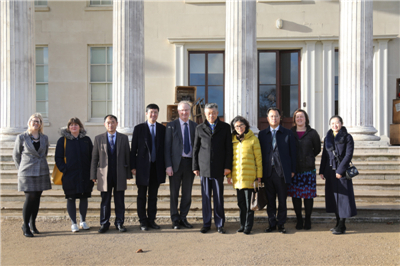 Mr. Lefroy thanked Ambassador Liu and Madam Hu for their visit, saying that in recent years, Staffordshire has been expanding its cooperation with China in trade, investment, education and tourism. He stands ready to continue to play an active role in promoting cooperation between the two sides so as to achieve more mutually beneficial results and deliver more benefit to the people of China and the UK.